The 2018/2019 ski season has been fantastic as snow has fallen continuously since November. Now, as spring approaches, it's time for us to celebrate because all this snow means monumental water on Colorado's rivers. The state's snowpack currently measures 110% of normal. 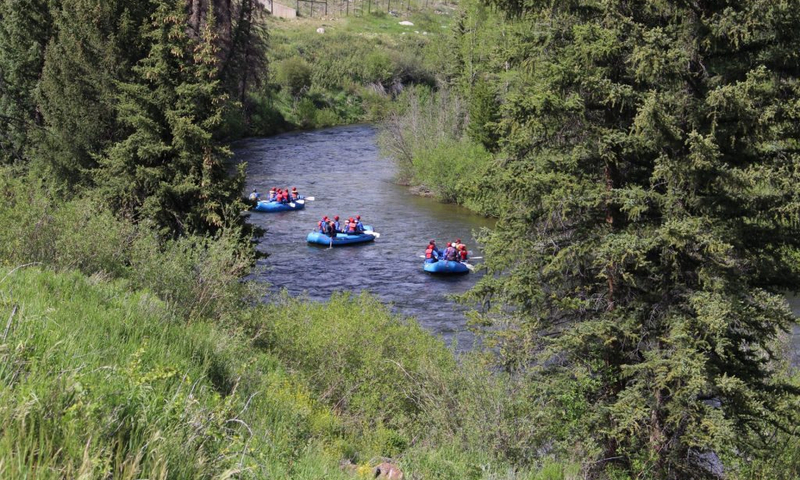 There's even more snowpack in the Arkansas River Basin where KODI runs a large portion of its trips, most notably our Brown Canyon rafting trips. In fact, the Arkansas River's flows are at 127% of normal! This means it's going to be a big year for KODI. And if spring continues to deliver stellar snowfalls, we might go so far as to suggest the 2019 rafting season is going to be epic. Don't miss out on this year's exciting water flows. 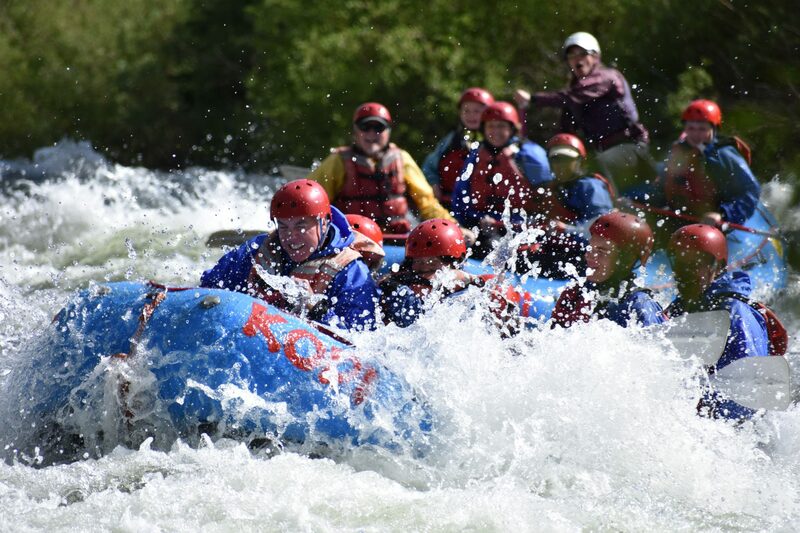 Book at KODI Rafting trip today! You’ve fallen in the love with the river. You've floated, you've jumped in, and you've swum. The river, you feel, is where you belong and where you find peace. So, maybe it's time to consider becoming a raft guide. Before you commit, take a guided trip (or two) and get to know your guide. Ask him or her about the lifestyle and try to get a feel if this is something you really want to do. 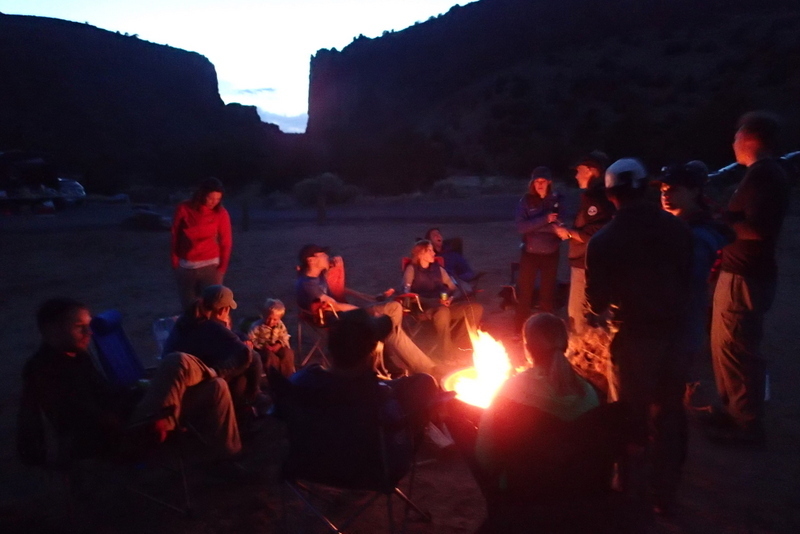 If you like the company you rafted with, ask the guide how you can work there next summer and take home an application. The application process and the interview tend to be the easiest part. Show your enthusiasm and you might get hired. But, that’s just the beginning. Next comes training. If you do get hired, it's always a good idea to be in your top shape before the training course and the season begins. The rowing machine at the gym is going to be your best bet because that's what you'll be doing... all summer long. Great raft guides have high energy and stamina and starting the season strong really helps with this. Most tour companies run their own training programs. These can change season to season. But generally, you can expect several weeks of intense, physical activity, water safety instruction, and more. This can also be viewed as a try-out for newbies as it really gives a sense of a raft guide's expectations and what life on the river is all about. Apply to be a raft guide today! 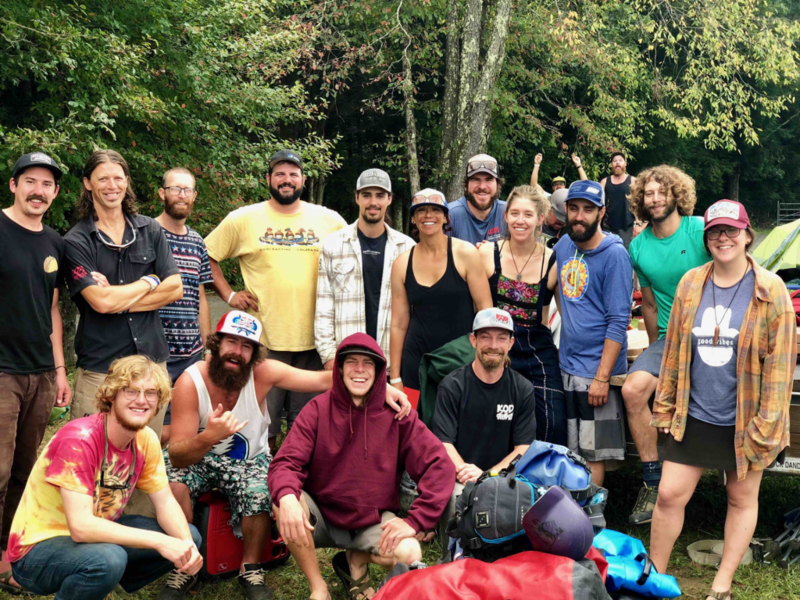 After a full and busy season, our staff kicked back and headed to West Virginia for Gauley Fest, a rowdy weekend of whitewater fun! 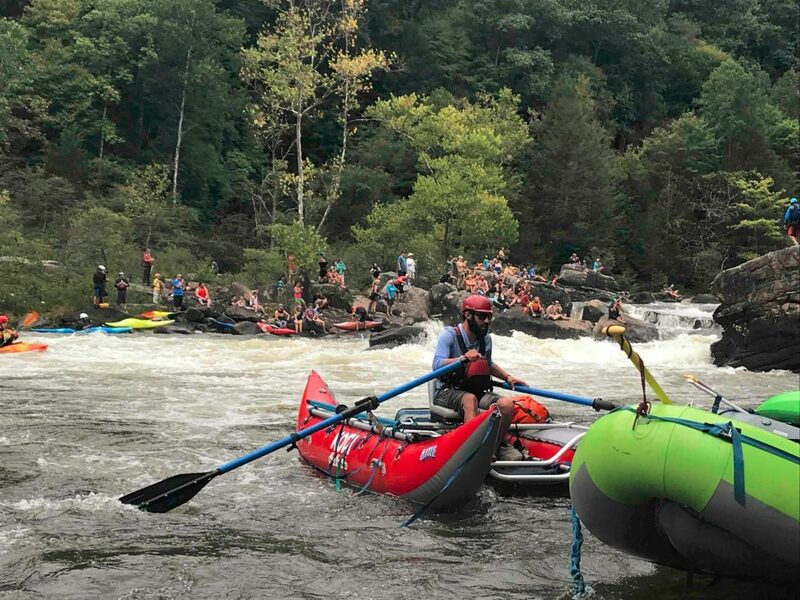 Gauley Fest began in 1983 as a celebration of the derailment of a hydro-electric project that would have stolen one of the whitewater community’s most precious resources. Today, it remains the American Whitewater Association’s largest fundraising effort. 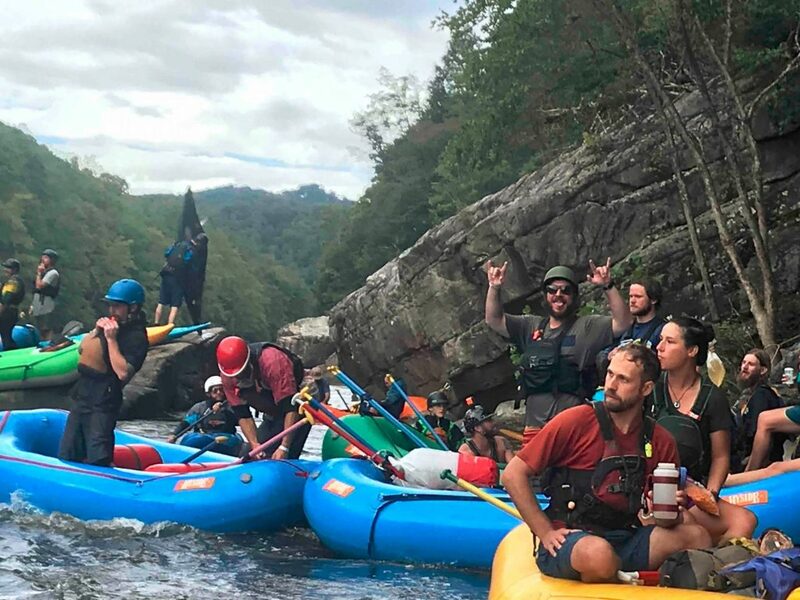 Although its roots were planted in a noble cause, the internationally renowned Gauley Fest is now mostly regarded for its party-hard nature. But at its heart, it’s still a celebration of not just the Gauley River, but rivers everywhere. And it’s one hell of a good time. So, you’ve decided to raft. Good for you! In our opinion, a day on the river is better than just about anything else! 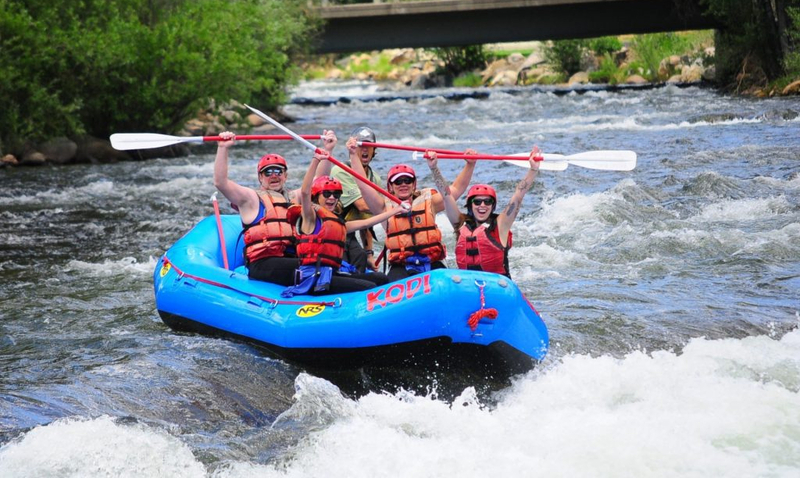 Whether you’re floating through Browns Canyon National Monument or taking a quick trip down Clear Creek, we want to make sure KODI Rafting is everything you expect us to be. 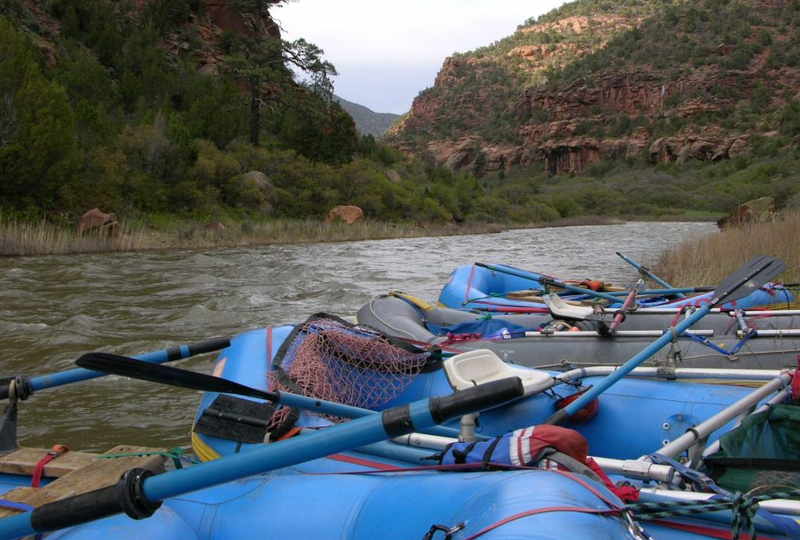 Once you find the perfect raft trip for your family or group, this is what you can expect during your day on the river. You’ll arrive at your designated outpost 30 minutes before your trip’s departure. This gives us time to meet and outfit your group and have you fill out a waiver.Since we experience such a variety in weather patterns and water levels throughout the summer, we suggest making a “Game-Time Decision” as to what gear you’ll need for the day. Our expert staff will help with the decision making. We won’t let you raft without a Personal Flotation Device (PFD) and a helmet on most rivers. If you choose to slip into a wetsuit, neoprene booties, or a splash top, you’ll have time to get these, too. You’ll store personal belongings in your car, and we’ll hold onto your keys at each outpost. At the designated departure time, we’ll head to the put-in where your trip leader will give you a KODI pre-trip briefing. He or she will explain all of the “what-if” questions for the day, just like airline instructions do prior to takeoff.You’ll then be divided into rafts, which hold between six and 10 rafters. Your boat guide will give you a little more instruction as to how to sit in the boat, how to paddle, and how they will call out paddle commands. If you are out with us for a full day adventure on the Upper Colorado or on the Arkansas River, your guides will prepare a hot riverside meal for you while you snack on an appetizer of veggies and dip. KODI lunches also include lemonade and cookies for dessert. KODI Rafting works with expert photographers who capture the perfect picture of you working your way down an amazing Colorado river. Strategically positioned, these photographers snap a series of photos of your boat as it passes by. Depending on the river you choose, photos will either be displayed at our outpost for you to review or available online shortly after your trip. Your time with us isn’t quite over once you reach the take-out. You’ll take a short shuttle back to the outpost, during which time, our guides have been known to pass along a few jokes and point out historic landmarks and points of interest. If you have a good joke, we’re sure your guides could us a little fresh material, so bring along your best stand-up. Back at the outpost, you’ll be able to get into some dry clothes, enjoy a slide show of your adventure (on most rivers), and shop for souvenirs. 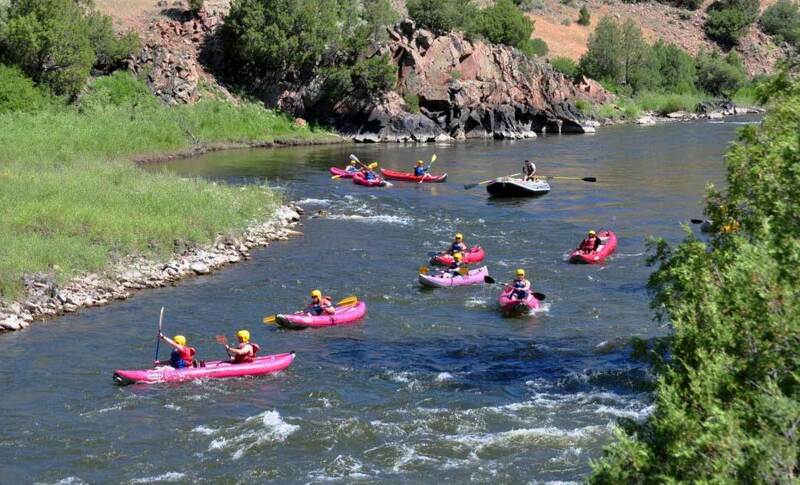 We happen to have the largest selection of KODI Rafting apparel in the universe. Great KODI raft guides turn an average rafting experience into an amazing rafting adventure you’ll remember always. If your KODI raft guide has given you an experience to last a lifetime, consider rewarding him or her with a tip at the end of your trip. 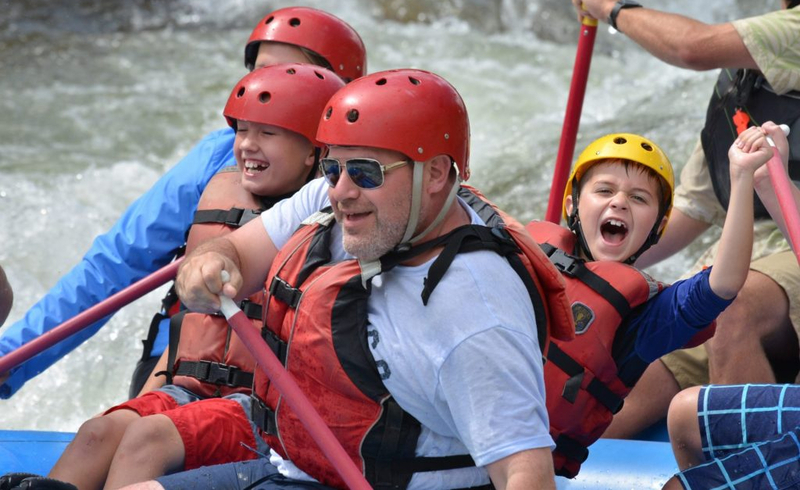 While all river guides can get you down the river, the great ones add excitement and fun while ensuring your safety is their number one concern. 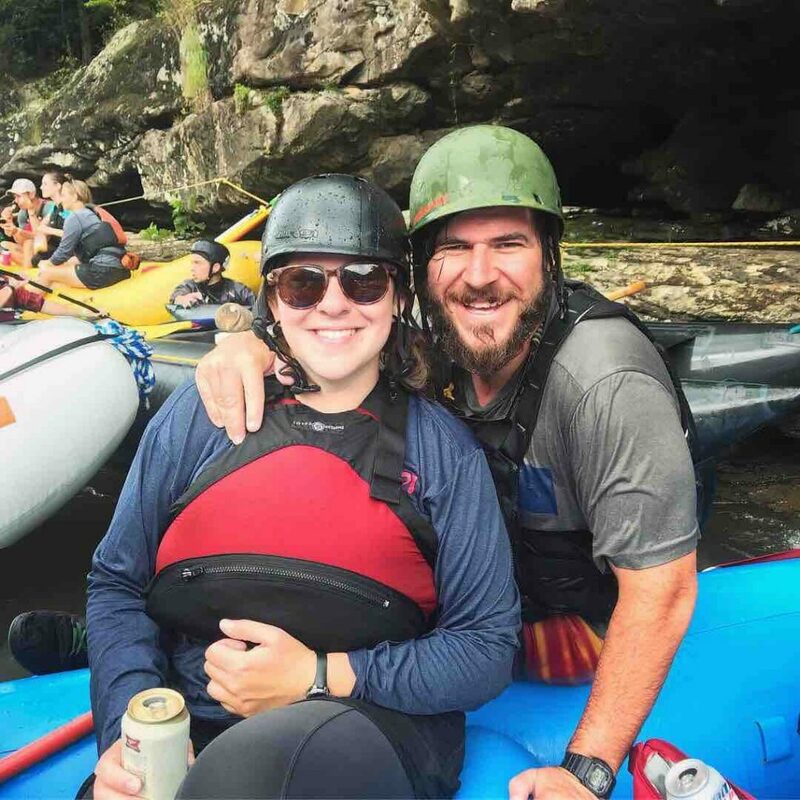 A great whitewater river guide also treats each guest with respect and exhibits genuine enthusiasm toward introducing you to the wonders of the river. A strong guide adds items such as local historical, area wildlife, or geological information to their conversations in the raft. Most importantly, an excellent guide is flexible and attentive to the needs and queries of rafting guests of all ages, abilities, and backgrounds. So, you want to tip your KODI raft guide. But, how much? The amount you tip is really up to you. Raft guiding is considered a service industry and many people believe anyone in the service industry, like restaurants, hotel employees, and hairdressers, should get between 10 % to 20% of the total cost of the service. For example, if your trip was $200 and your guide made your experience a memorable one, a $20 – $40 tip would be generous and greatly appreciated! Tips can be given directly to your guide at the end of your trip or handed off to office personnel at the appropriate KODI outpost. 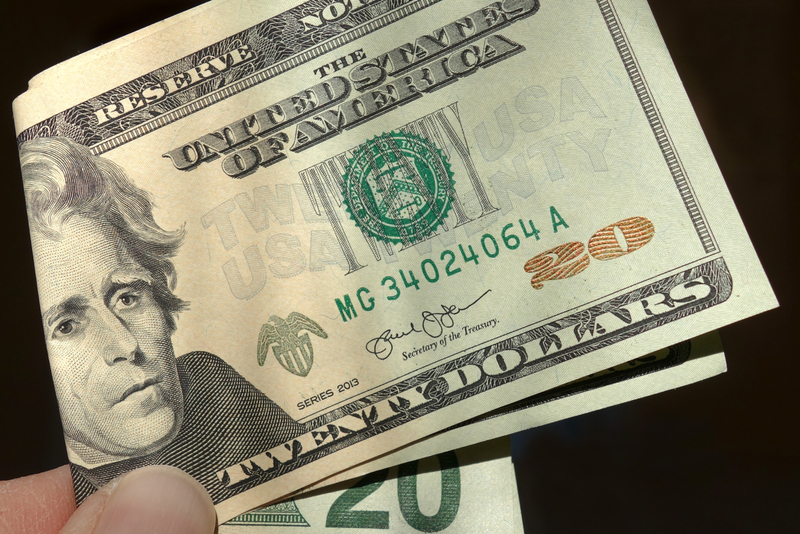 If you forget to tip or run out of money, ask management about using a credit card for tipping. But remember, guides prefer cash. If you aren’t tipping at all or tipping less than the recommended amount, explain your reasoning. It may make for an awkward moment, but there’s one invaluable word any working stiff can relate to—feedback. 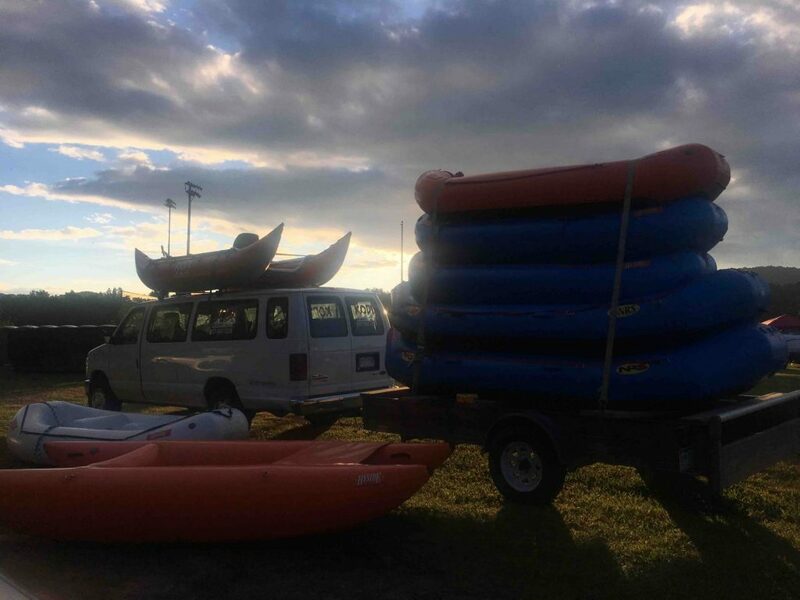 If you’re about to take your first whitewater rafting trip, let us tell you the items you need to pack to make your day on the river as fantastic as possible. The best type of footwear to wear are sandals with a secure strap around the ankle. This does not mean Crocs or flip flops, but something secure like Tevas, Chacos, etc. If you don’t have sandals like this, a breathable pair of sneakers works, too. KODI also rents river booties for $5 for a full day and $3 for a half day at some of its outposts. Because of Colorado’s quickly changing temperatures and the fact that you may get wet, it’s best to bring layers of clothing on your trip. The base of these layers should be a bathing suit. If it gets hot out, you’ll be happy to be wearing one! Avoid cotton, jeans, and long pants if possible. Comfortable, quick-drying clothing is great. Any outdoor gear such as neoprene, polypropylene, wool, or fleece is best. 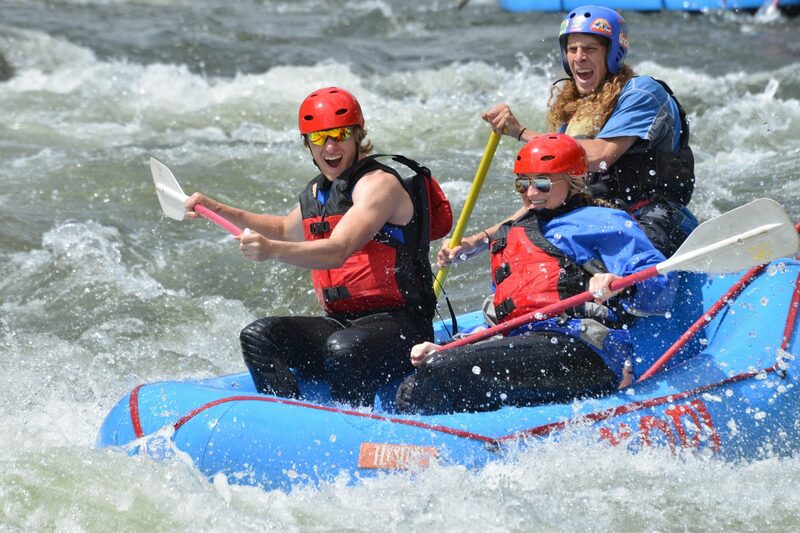 Colorado’s sun is strong and so are many of our rapids. Combine those and you’ll want to make sure your glasses don’t get lost in the river. Our beautiful blue skies and high elevation make for crazy sunburns. Always protect yourself with sunscreen. Not only is paddling a raft a lot of physical work, most of our river trips are at high elevation where water is even more important to stay hydrated. Pack a bottle of water to keep it on hand in the boat. When you’re done with your trip, you may be wet or cold or both! You’ll be glad to have a pair of dry clothes waiting for you at the take-out.